Yasmina Tarot & Bad Habits: Are bad habits in the eye of the beholder? We think so. What's so bad about smoking and drinking, aside from the early death, cancer and wrinkles? Apparently nose picking is fine as long as you confine it to your car. Really? 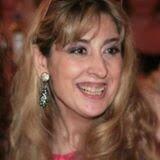 Josephine is joined by Lebanese born, psychic counsellor Yasmina. Psychic from the age of 7, Yasmina has created a set of beginner tarot cards so you can do a D.I.Y. reading of your future. Kate Mosse, BBC TV’s Last Tango in Halifax writer Sally Wainwright and Karen Swan on GORGEOUS GOSSIP – what do you really want for XMAS?